We are very delighted that you have shown interest in our enterprise. Data protection is of a particularly high priority for the management of the SeSaM-Biotech GmbH. The use of the Internet pages of the SeSaM-Biotech GmbH is possible without any indication of personal data; however, if a data subject wants to use special enterprise services via our website, processing of personal data could become necessary. If the processing of personal data is necessary and there is no statutory basis for such processing, we generally obtain consent from the data subject. The processing of personal data, such as the name, address, e-mail address, or telephone number of a data subject shall always be in line with the General Data Protection Regulation (GDPR), and in accordance with the country-specific data protection regulations applicable to the SeSaM-Biotech GmbH. By means of this data protection declaration, our enterprise would like to inform the general public of the nature, scope, and purpose of the personal data we collect, use and process. Furthermore, data subjects are informed, by means of this data protection declaration, of the rights to which they are entitled. As the controller, the SeSaM-Biotech GmbH has implemented numerous technical and organizational measures to ensure the most complete protection of personal data processed through this website. However, Internet-based data transmissions may in principle have security gaps, so absolute protection may not be guaranteed. For this reason, every data subject is free to transfer personal data to us via alternative means, e.g. by telephone. The data protection declaration of the SeSaM-Biotech GmbH is based on the terms used by the European legislator for the adoption of the General Data Protection Regulation (GDPR). Our data protection declaration should be legible and understandable for the general public, as well as our customers and business partners. To ensure this, we would like to first explain the terminology used. 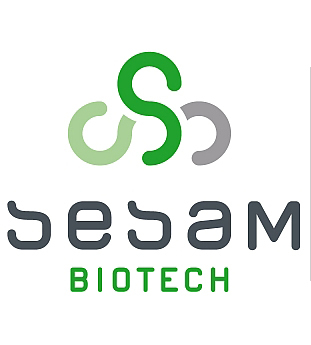 The website of the SeSaM-Biotech GmbH collects a series of general data and information when a data subject or automated system calls up the website. This general data and information are stored in the server log files. Collected may be (1) the browser types and versions used, (2) the operating system used by the accessing system, (3) the website from which an accessing system reaches our website (so-called referrers), (4) the sub-websites, (5) the date and time of access to the Internet site, (6) an Internet protocol address (IP address), (7) the Internet service provider of the accessing system, and (8) any other similar data and information that may be used in the event of attacks on our information technology systems. When using these general data and information, the SeSaM-Biotech GmbH does not draw any conclusions about the data subject. Rather, this information is needed to (1) deliver the content of our website correctly, (2) optimize the content of our website as well as its advertisement, (3) ensure the long-term viability of our information technology systems and website technology, and (4) provide law enforcement authorities with the information necessary for criminal prosecution in case of a cyber-attack. Therefore, the SeSaM-Biotech GmbH analyzes anonymously collected data and information statistically, with the aim of increasing the data protection and data security of our enterprise, and to ensure an optimal level of protection for the personal data we process. The anonymous data of the server log files are stored separately from all personal data provided by a data subject. On the website of the SeSaM-Biotech GmbH, users are given the opportunity to subscribe to our enterprise’s newsletter. The input mask used for this purpose determines what personal data are transmitted, as well as when the newsletter is ordered from the controller. The SeSaM-Biotech GmbH informs its customers and business partners regularly by means of a newsletter about enterprise offers. The enterprise’s newsletter may only be received by the data subject if (1) the data subject has a valid e-mail address and (2) the data subject registers for the newsletter shipping. A confirmation e-mail will be sent to the e-mail address registered by a data subject for the first time for newsletter shipping, for legal reasons, in the double opt-in procedure. This confirmation e-mail is used to prove whether the owner of the e-mail address as the data subject is authorized to receive the newsletter. The newsletter of the SeSaM-Biotech GmbH contains so-called tracking pixels. A tracking pixel is a miniature graphic embedded in such e-mails, which are sent in HTML format to enable log file recording and analysis. This allows a statistical analysis of the success or failure of online marketing campaigns. Based on the embedded tracking pixel, the SeSaM-Biotech GmbH may see if and when an e-mail was opened by a data subject, and which links in the e-mail were called up by data subjects. Such personal data collected in the tracking pixels contained in the newsletters are stored and analyzed by the controller in order to optimize the shipping of the newsletter, as well as to adapt the content of future newsletters even better to the interests of the data subject. These personal data will not be passed on to third parties. Data subjects are at any time entitled to revoke the respective separate declaration of consent issued by means of the double-opt-in procedure. After a revocation, these personal data will be deleted by the controller. The SeSaM-Biotech GmbH automatically regards a withdrawal from the receipt of the newsletter as a revocation. If you would like to receive the newsletter offered on the website, we need an e-mail address from you, as well as information that allows us to verify that you are the owner of the e-mail address you have given us and agree to receiving the newsletter. To ensure thatyou agree to receiving the newsletter, we use the double-opt-in procedure. In the course of this the potential recipient can be included in a distribution list. Afterwards the user receives a confirmation e-mail to confirm the registration legally. The address will only be included in the distributor if this confirmation is given. We use this data exclusively for the delivery of the requested information. We use Newsletter2Go as software for newsletter distribution. During this process your data will be transmitted to Newsletter2Go GmbH. Newsletter2Go is strictly prohibited from selling the date or using it for other purposes, than the original intent of distributing the newsletter. Newsletter2Go is a german, certified provider, who was chosen according to the conditions of the EU-GDPR and the German Federal Data Protection Act. The website of the SeSaM-Biotech GmbH contains information that enables a quick electronic contact to our enterprise, as well as direct communication with us, which also includes a general address of the so-called electronic mail (e-mail address). If a data subject contacts the controller by e-mail or via a contact form, the personal data transmitted by the data subject are automatically stored. Such personal data transmitted on a voluntary basis by a data subject to the data controller are stored for the purpose of processing or contacting the data subject. There is no transfer of this personal data to third parties. If one of the aforementioned reasons applies, and a data subject wishes to request the erasure of personal data stored by the SeSaM-Biotech GmbH, he or she may, at any time, contact any employee of the controller. An employee of SeSaM-Biotech GmbH shall promptly ensure that the erasure request is complied with immediately. Where the controller has made personal data public and is obliged pursuant to Article 17(1) to erase the personal data, the controller, taking account of available technology and the cost of implementation, shall take reasonable steps, including technical measures, to inform other controllers processing the personal data that the data subject has requested erasure by such controllers of any links to, or copy or replication of, those personal data, as far as processing is not required. An employees of the SeSaM-Biotech GmbH will arrange the necessary measures in individual cases. If one of the aforementioned conditions is met, and a data subject wishes to request the restriction of the processing of personal data stored by the SeSaM-Biotech GmbH, he or she may at any time contact any employee of the controller. The employee of the SeSaM-Biotech GmbH will arrange the restriction of the processing. In order to assert the right to data portability, the data subject may at any time contact any employee of the SeSaM-Biotech GmbH. The SeSaM-Biotech GmbH shall no longer process the personal data in the event of the objection, unless we can demonstrate compelling legitimate grounds for the processing which override the interests, rights and freedoms of the data subject, or for the establishment, exercise or defence of legal claims. If the SeSaM-Biotech GmbH processes personal data for direct marketing purposes, the data subject shall have the right to object at any time to processing of personal data concerning him or her for such marketing. This applies to profiling to the extent that it is related to such direct marketing. If the data subject objects to the SeSaM-Biotech GmbH to the processing for direct marketing purposes, the SeSaM-Biotech GmbH will no longer process the personal data for these purposes. In addition, the data subject has the right, on grounds relating to his or her particular situation, to object to processing of personal data concerning him or her by the SeSaM-Biotech GmbH for scientific or historical research purposes, or for statistical purposes pursuant to Article 89(1) of the GDPR, unless the processing is necessary for the performance of a task carried out for reasons of public interest. In order to exercise the right to object, the data subject may contact any employee of the SeSaM-Biotech GmbH. In addition, the data subject is free in the context of the use of information society services, and notwithstanding Directive 2002/58/EC, to use his or her right to object by automated means using technical specifications. If the decision (1) is necessary for entering into, or the performance of, a contract between the data subject and a data controller, or (2) it is based on the data subject’s explicit consent, the SeSaM-Biotech GmbH shall implement suitable measures to safeguard the data subject’s rights and freedoms and legitimate interests, at least the right to obtain human intervention on the part of the controller, to express his or her point of view and contest the decision. If the data subject wishes to exercise the rights concerning automated individual decision-making, he or she may, at any time, contact any employee of the SeSaM-Biotech GmbH. If the data subject wishes to exercise the right to withdraw the consent, he or she may, at any time, contact any employee of the SeSaM-Biotech GmbH. Wir freuen uns sehr über Ihr Interesse an unserem Unternehmen. Datenschutz hat einen besonders hohen Stellenwert für die Geschäftsleitung der SeSaM-Biotech GmbH. Eine Nutzung der Internetseiten der SeSaM-Biotech GmbH ist grundsätzlich ohne jede Angabe personenbezogener Daten möglich. Sofern eine betroffene Person besondere Services unseres Unternehmens über unsere Internetseite in Anspruch nehmen möchte, könnte jedoch eine Verarbeitung personenbezogener Daten erforderlich werden. Ist die Verarbeitung personenbezogener Daten erforderlich und besteht für eine solche Verarbeitung keine gesetzliche Grundlage, holen wir generell eine Einwilligung der betroffenen Person ein. Die Verarbeitung personenbezogener Daten, beispielsweise des Namens, der Anschrift, E-Mail-Adresse oder Telefonnummer einer betroffenen Person, erfolgt stets im Einklang mit der Datenschutz-Grundverordnung und in Übereinstimmung mit den für die SeSaM-Biotech GmbH geltenden landesspezifischen Datenschutzbestimmungen. Mittels dieser Datenschutzerklärung möchte unser Unternehmen die Öffentlichkeit über Art, Umfang und Zweck der von uns erhobenen, genutzten und verarbeiteten personenbezogenen Daten informieren. Ferner werden betroffene Personen mittels dieser Datenschutzerklärung über die ihnen zustehenden Rechte aufgeklärt. Die SeSaM-Biotech GmbH hat als für die Verarbeitung Verantwortlicher zahlreiche technische und organisatorische Maßnahmen umgesetzt, um einen möglichst lückenlosen Schutz der über diese Internetseite verarbeiteten personenbezogenen Daten sicherzustellen. Dennoch können Internetbasierte Datenübertragungen grundsätzlich Sicherheitslücken aufweisen, sodass ein absoluter Schutz nicht gewährleistet werden kann. Aus diesem Grund steht es jeder betroffenen Person frei, personenbezogene Daten auch auf alternativen Wegen, beispielsweise telefonisch, an uns zu übermitteln. Die Datenschutzerklärung der SeSaM-Biotech GmbH beruht auf den Begrifflichkeiten, die durch den Europäischen Richtlinien- und Verordnungsgeber beim Erlass der Datenschutz-Grundverordnung (DS-GVO) verwendet wurden. Unsere Datenschutzerklärung soll sowohl für die Öffentlichkeit als auch für unsere Kunden und Geschäftspartner einfach lesbar und verständlich sein. Um dies zu gewährleisten, möchten wir vorab die verwendeten Begrifflichkeiten erläutern. Die Internetseiten der SeSaM-Biotech GmbH verwenden Cookies. Cookies sind Textdateien, welche über einen Internetbrowser auf einem Computersystem abgelegt und gespeichert werden. Durch den Einsatz von Cookies kann die SeSaM-Biotech GmbH den Nutzern dieser Internetseite nutzerfreundlichere Services bereitstellen, die ohne die Cookie-Setzung nicht möglich wären. Die Internetseite der SeSaM-Biotech GmbH erfasst mit jedem Aufruf der Internetseite durch eine betroffene Person oder ein automatisiertes System eine Reihe von allgemeinen Daten und Informationen. Diese allgemeinen Daten und Informationen werden in den Logfiles des Servers gespeichert. Erfasst werden können die (1) verwendeten Browsertypen und Versionen, (2) das vom zugreifenden System verwendete Betriebssystem, (3) die Internetseite, von welcher ein zugreifendes System auf unsere Internetseite gelangt (sogenannte Referrer), (4) die Unterwebseiten, welche über ein zugreifendes System auf unserer Internetseite angesteuert werden, (5) das Datum und die Uhrzeit eines Zugriffs auf die Internetseite, (6) eine Internet-Protokoll-Adresse (IP-Adresse), (7) der Internet-Service-Provider des zugreifenden Systems und (8) sonstige ähnliche Daten und Informationen, die der Gefahrenabwehr im Falle von Angriffen auf unsere informationstechnologischen Systeme dienen. Bei der Nutzung dieser allgemeinen Daten und Informationen zieht die SeSaM-Biotech GmbH keine Rückschlüsse auf die betroffene Person. Diese Informationen werden vielmehr benötigt, um (1) die Inhalte unserer Internetseite korrekt auszuliefern, (2) die Inhalte unserer Internetseite sowie die Werbung für diese zu optimieren, (3) die dauerhafte Funktionsfähigkeit unserer informationstechnologischen Systeme und der Technik unserer Internetseite zu gewährleisten sowie (4) um Strafverfolgungsbehörden im Falle eines Cyberangriffes die zur Strafverfolgung notwendigen Informationen bereitzustellen. Diese anonym erhobenen Daten und Informationen werden durch die SeSaM-Biotech GmbH daher einerseits statistisch und ferner mit dem Ziel ausgewertet, den Datenschutz und die Datensicherheit in unserem Unternehmen zu erhöhen, um letztlich ein optimales Schutzniveau für die von uns verarbeiteten personenbezogenen Daten sicherzustellen. Die anonymen Daten der Server-Logfiles werden getrennt von allen durch eine betroffene Person angegebenen personenbezogenen Daten gespeichert. Auf der Internetseite der SeSaM-Biotech GmbH wird den Benutzern die Möglichkeit eingeräumt, den Newsletter unseres Unternehmens zu abonnieren. Welche personenbezogenen Daten bei der Bestellung des Newsletters an den für die Verarbeitung Verantwortlichen übermittelt werden, ergibt sich aus der hierzu verwendeten Eingabemaske. Die SeSaM-Biotech GmbH informiert ihre Kunden und Geschäftspartner in regelmäßigen Abständen im Wege eines Newsletters über Angebote des Unternehmens. Der Newsletter unseres Unternehmens kann von der betroffenen Person grundsätzlich nur dann empfangen werden, wenn (1) die betroffene Person über eine gültige E-Mail-Adresse verfügt und (2) die betroffene Person sich für den Newsletterversand registriert. An die von einer betroffenen Person erstmalig für den Newsletterversand eingetragene E-Mail-Adresse wird aus rechtlichen Gründen eine Bestätigungsmail im Double-Opt-In-Verfahren versendet. Diese Bestätigungsmail dient der Überprüfung, ob der Inhaber der E-Mail-Adresse als betroffene Person den Empfang des Newsletters autorisiert hat. Die Newsletter der SeSaM-Biotech GmbH enthalten sogenannte Zählpixel. Ein Zählpixel ist eine Miniaturgrafik, die in solche E-Mails eingebettet wird, welche im HTML-Format versendet werden, um eine Logdatei-Aufzeichnung und eine Logdatei-Analyse zu ermöglichen. Dadurch kann eine statistische Auswertung des Erfolges oder Misserfolges von Online-Marketing-Kampagnen durchgeführt werden. Anhand des eingebetteten Zählpixels kann die SeSaM-Biotech GmbH erkennen, ob und wann eine E-Mail von einer betroffenen Person geöffnet wurde und welche in der E-Mail befindlichen Links von der betroffenen Person aufgerufen wurden. Solche über die in den Newslettern enthaltenen Zählpixel erhobenen personenbezogenen Daten, werden von dem für die Verarbeitung Verantwortlichen gespeichert und ausgewertet, um den Newsletterversand zu optimieren und den Inhalt zukünftiger Newsletter noch besser den Interessen der betroffenen Person anzupassen. Diese personenbezogenen Daten werden nicht an Dritte weitergegeben. Betroffene Personen sind jederzeit berechtigt, die diesbezügliche gesonderte, über das Double-Opt-In-Verfahren abgegebene Einwilligungserklärung zu widerrufen. Nach einem Widerruf werden diese personenbezogenen Daten von dem für die Verarbeitung Verantwortlichen gelöscht. Eine Abmeldung vom Erhalt des Newsletters deutet die SeSaM-Biotech GmbH automatisch als Widerruf. Die Internetseite der SeSaM-Biotech GmbH enthält aufgrund von gesetzlichen Vorschriften Angaben, die eine schnelle elektronische Kontaktaufnahme zu unserem Unternehmen sowie eine unmittelbare Kommunikation mit uns ermöglichen, was ebenfalls eine allgemeine Adresse der sogenannten elektronischen Post (E-Mail-Adresse) umfasst. Sofern eine betroffene Person per E-Mail oder über ein Kontaktformular den Kontakt mit dem für die Verarbeitung Verantwortlichen aufnimmt, werden die von der betroffenen Person übermittelten personenbezogenen Daten automatisch gespeichert. Solche auf freiwilliger Basis von einer betroffenen Person an den für die Verarbeitung Verantwortlichen übermittelten personenbezogenen Daten werden für Zwecke der Bearbeitung oder der Kontaktaufnahme zur betroffenen Person gespeichert. Es erfolgt keine Weitergabe dieser personenbezogenen Daten an Dritte. Sofern einer der oben genannten Gründe zutrifft und eine betroffene Person die Löschung von personenbezogenen Daten, die bei der SeSaM-Biotech GmbH gespeichert sind, veranlassen möchte, kann sie sich hierzu jederzeit an einen Mitarbeiter des für die Verarbeitung Verantwortlichen wenden. Der Mitarbeiter der SeSaM-Biotech GmbH wird veranlassen, dass dem Löschverlangen unverzüglich nachgekommen wird. Wurden die personenbezogenen Daten von der SeSaM-Biotech GmbH öffentlich gemacht und ist unser Unternehmen als Verantwortlicher gemäß Art. 17 Abs. 1 DS-GVO zur Löschung der personenbezogenen Daten verpflichtet, so trifft die SeSaM-Biotech GmbH unter Berücksichtigung der verfügbaren Technologie und der Implementierungskosten angemessene Maßnahmen, auch technischer Art, um andere für die Datenverarbeitung Verantwortliche, welche die veröffentlichten personenbezogenen Daten verarbeiten, darüber in Kenntnis zu setzen, dass die betroffene Person von diesen anderen für die Datenverarbeitung Verantwortlichen die Löschung sämtlicher Links zu diesen personenbezogenen Daten oder von Kopien oder Replikationen dieser personenbezogenen Daten verlangt hat, soweit die Verarbeitung nicht erforderlich ist. Der Mitarbeiter der SeSaM-Biotech GmbH wird im Einzelfall das Notwendige veranlassen. Sofern eine der oben genannten Voraussetzungen gegeben ist und eine betroffene Person die Einschränkung von personenbezogenen Daten, die bei der SeSaM-Biotech GmbH gespeichert sind, verlangen möchte, kann sie sich hierzu jederzeit an einen Mitarbeiter des für die Verarbeitung Verantwortlichen wenden. Der Mitarbeiter der SeSaM-Biotech GmbH wird die Einschränkung der Verarbeitung veranlassen. Zur Geltendmachung des Rechts auf Datenübertragbarkeit kann sich die betroffene Person jederzeit an einen Mitarbeiter der SeSaM-Biotech GmbH wenden. Die SeSaM-Biotech GmbH verarbeitet die personenbezogenen Daten im Falle des Widerspruchs nicht mehr, es sei denn, wir können zwingende schutzwürdige Gründe für die Verarbeitung nachweisen, die den Interessen, Rechten und Freiheiten der betroffenen Person überwiegen, oder die Verarbeitung dient der Geltendmachung, Ausübung oder Verteidigung von Rechtsansprüchen. Verarbeitet die SeSaM-Biotech GmbH personenbezogene Daten, um Direktwerbung zu betreiben, so hat die betroffene Person das Recht, jederzeit Widerspruch gegen die Verarbeitung der personenbezogenen Daten zum Zwecke derartiger Werbung einzulegen. Dies gilt auch für das Profiling, soweit es mit solcher Direktwerbung in Verbindung steht. Widerspricht die betroffene Person gegenüber der SeSaM-Biotech GmbH der Verarbeitung für Zwecke der Direktwerbung, so wird die SeSaM-Biotech GmbH die personenbezogenen Daten nicht mehr für diese Zwecke verarbeiten. Zudem hat die betroffene Person das Recht, aus Gründen, die sich aus ihrer besonderen Situation ergeben, gegen die sie betreffende Verarbeitung personenbezogener Daten, die bei der SeSaM-Biotech GmbH zu wissenschaftlichen oder historischen Forschungszwecken oder zu statistischen Zwecken gemäß Art. 89 Abs. 1 DS-GVO erfolgen, Widerspruch einzulegen, es sei denn, eine solche Verarbeitung ist zur Erfüllung einer im öffentlichen Interesse liegenden Aufgabe erforderlich. Zur Ausübung des Rechts auf Widerspruch kann sich die betroffene Person direkt jeden Mitarbeiter der SeSaM-Biotech GmbH oder einen anderen Mitarbeiter wenden. Der betroffenen Person steht es ferner frei, im Zusammenhang mit der Nutzung von Diensten der Informationsgesellschaft, ungeachtet der Richtlinie 2002/58/EG, ihr Widerspruchsrecht mittels automatisierter Verfahren auszuüben, bei denen technische Spezifikationen verwendet werden. Ist die Entscheidung (1) für den Abschluss oder die Erfüllung eines Vertrags zwischen der betroffenen Person und dem Verantwortlichen erforderlich oder (2) erfolgt sie mit ausdrücklicher Einwilligung der betroffenen Person, trifft die SeSaM-Biotech GmbH angemessene Maßnahmen, um die Rechte und Freiheiten sowie die berechtigten Interessen der betroffenen Person zu wahren, wozu mindestens das Recht auf Erwirkung des Eingreifens einer Person seitens des Verantwortlichen, auf Darlegung des eigenen Standpunkts und auf Anfechtung der Entscheidung gehört.